People tend to interpret regulations and laws in whatever way suits them best. Speed limits, for instance, are treated as a bare minimum while safety regulations are treated like a goal to attain – a maximum level of performance. In both cases, the opposite is actually true. Speed limits are designed to be just that - limits, while OSHA’s safety regulations are actually the lowest standard you must meet in order to be in compliance. 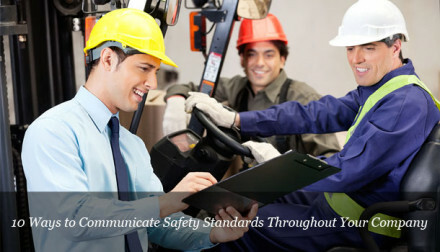 Go to any OSHA-related class and you are bound to hear the instructor tell you at some point that the regulations are just a bare minimum – that people can, and do, get hurt or killed while following the rules. It is the responsibility of the employer to determine whether or not those rules need to be enhanced. In some situations, bare minimum is acceptable, though maybe not preferable. Take safety equipment for example. In order for a product to be compliant, they must meet ANSI requirements or requirements set forth by, or in conjunction with, other organizations such as ASTM or UL. The American National Standards Institute (ANSI) is an organization that sets voluntary testing standards for much of the equipment you wear. Well, voluntary standards, that is, until OSHA incorporates them into their regulations (and in many instances they have). Has your safety manager ever checked your safety glasses to ensure they have a Z87.1 stamped into them? Z87.1 is the ANSI standard that lays out the specs for testing safety glasses. Your hardhat has a number. Your vest has a number. Your fall protection harness has a number. When stamped, it means that that piece of safety equipment has been tested to the standard and has passed. This means that a fall protection harness that costs $50 must meet the same exact requirements that a $250 harness must meet. If you fall wearing a cheap harness, it must be just as effective as if you fall wearing an expensive one. So why would you go for a more expensive harness? Well, sometimes people just trust a brand name better than an off-name brand or maybe the pricier one has some additional features and functions that you may or may not need. However, if something costs less, it’s usually because something has been sacrificed. For instance, a pricier harness may be much more comfortable than a less-expensive one. And, while you may think that comfort isn’t important if you’re saving $50 or $100 per harness, the truth is that comfort can be very important. Why? Well, the more comfortable a piece of safety equipment, the more likely your employees will not only wear the equipment, but wear it properly. A harness will do you no good if the leg straps are constantly loosened or the chest strap is always undone. 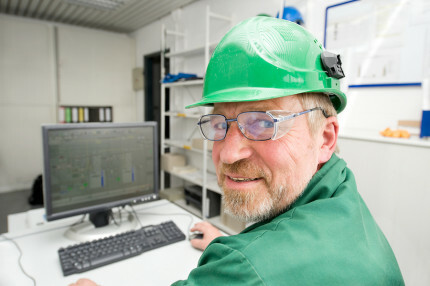 Safety glasses won’t help if the worker keeps taking them off because they hurt the bridge of his nose or the sides of his head. Hearing protection won’t help if they’re never in anybody’s ears because they feel like rocks. On top of all that, taking comfort into consideration shows your employees that you care about them. If you’re reading that last sentence thinking, who cares if my employees think I care about them or not, then I’m willing to bet you struggle with your safety program, among other things. Simple human psychology tells you that an employee will work harder for – and be more loyal to – an employer that demonstrates genuine concern for them. So, while cheaper equipment should be just as effective, it may not be the better choice. But if we’re not talking about products, why is it necessary to ever go beyond the minimum? If a regulation says I need fall protection at 6’, why should I even think about fall protection at 4’ or 5’? Simple: people have died or been severely injured when falling on the same level. A 4’ or 5’ fall can still maim or kill, just like a 6’ fall, a 10’ fall, or a 100’ fall. Because of this, OSHA requires that you do a hazard assessment. It is through this assessment that you are required to determine if the regulations set forth by OSHA are sufficient enough to keep your employees safe. Your assessment is not to determine if you need to follow OSHA’s rules, but to determine if following them alone will protect your workers. In some instances, they won’t. What if you’re working on a scaffold with multiple employees at about 8’? OSHA doesn’t require you to have fall protection, but does the presence of other employees increase your risk of getting knocked off? What if there was some material storage below that could make your fall that much more dangerous? If you haven’t determined to go above and beyond the OSHA regulations in this or similar situations, you could potentially be cited for not providing a safe work environment (and, more importantly, somebody could get hurt). 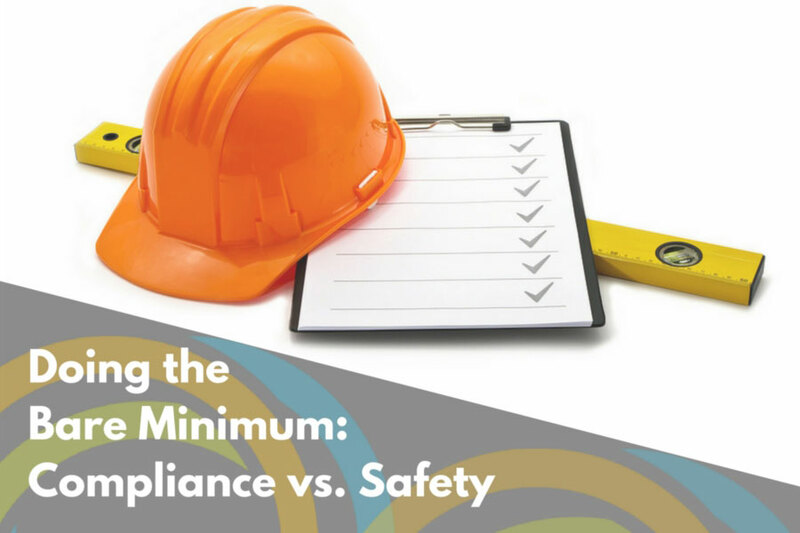 Doing the bare minimum shows both your employees and OSHA that you’re more concerned with compliance than you are with keeping your workers safe. It’s no secret when a company is following safety rules because they have to (though I’ll still take that any day over the companies that just don’t care and bypass safety altogether). Take the time to assess your situations to ensure you’re actually protecting your employees. Take the time to consider what the best piece of safety equipment is for the job. Make sure you are doing what best suits your needs and the needs of your employees.